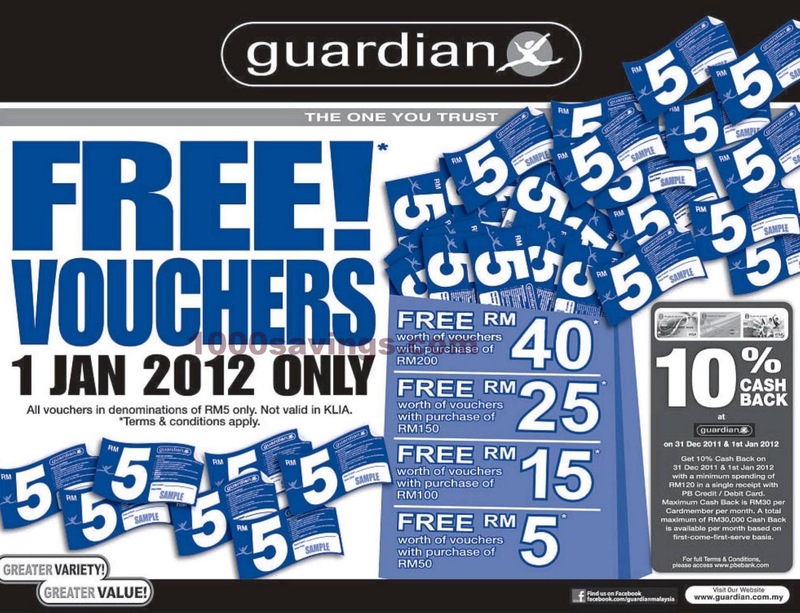 Guardian: Get FREE Vouchers on 1 Jan 2012! 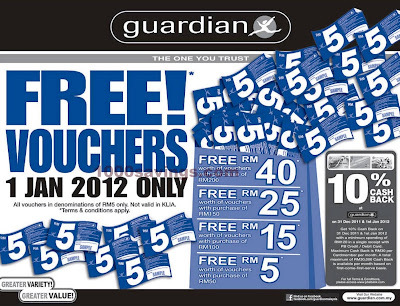 Guardian Malaysia is giving out FREE vouchers! How to get the free vouchers? All vouchers in denominations of RM5 only. Not valid in KLIA. with a minimum spending of RM120 in a single receipt with PB Credit / Debit Card. Maximum Cash Back is RM30 per Cardmember per month. A total maximum of RM30,000 Cash Back is available per month based on first-come-first-serve basis.